In response to student requests, slow-motion lessons have been added to the Qbert Skratch University curriculum. The slo mo feature is not only valuable, but a necessity for each student to learn right the first time. ArtistWorks, Inc. (AWI) responds to student protests at the Qbert Skratch University and issues a cutting class elective with the addition of “slow motion” lessons for enrolled students from around the hip hop globe. The enhancement comes in response to QSU students’ requests that Qbert’s lessons be slowed down for maximum, efficient learning of the intricate skill of scratching. ArtistWorks has reviewed the entire curriculum, selecting student-deemed “most essential lessons” and slowed them to half-speed. The three-camera video shoot of Qbert’s lessons includes an overhead cam which offers an ideal angle for the student to view the technique and is featured in the majority of the slow-mo lessons. When students log on to their lessons they now see a “Slow!” icon to activate this option beside the original lesson at full speed. The team at ArtistWorks continually strives to meet the needs of the global online student community with curriculum enhancements and program improvements to help them attain their music education goals. Student response to the slow-mo lessons is positive. DJTim shouts, “Awesome, 10/10, they are so clear!” Student Boo agrees, “I really like the slo mo vidz also!! It’s easier to do the techniques step by step that way!” “The slo mo feature is not only valuable, but a necessity for each student to learn right the first time,” says GoldVoltron. Qbert’s recent appearance at Yoshi’s SF as part of the new “Audio Alchemy” series was to a sell-out crowd of QSU students and fans alike, further reinforcing his position as top trendsetter in the genre. Qbert is celebrating his 25th Anniversary with ThudRumble this year and participating in some killer upcoming shows including the ULTRA Music Festival in Miami on March 27 and Yuri’s Night Bay Area at the NASA Ames Research Center on April 10 (http://www.ynba.org). Qbert is online at http://www.thudrumble.com. 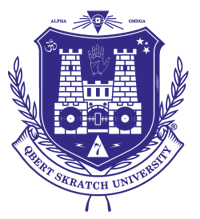 Visit Qbert Skratch University at http://www.qbertskratchuniversity.com.